This product is available in Flipkart, Snapdeal, Tatacliq. At flipkart.com you can purchase Far Cry Primal(for PS4) for only Rs. 895, which is 31% less than the cost in Tatacliq (Rs. 1,290). 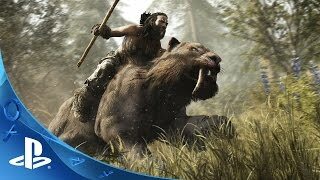 The lowest price of Far Cry Primal (PlayStation 4) was obtained on April 19, 2019 10:39 pm. lovely game, just getting hours of endless play, games updates improves graphics and user interface without changing settings, new game for ps4 platform, you get to conquer tribe villages, outposts, tame beasts, claim bonfires, expand your own village and population. Open world is harsh and ruthless ..The graphics visual i rate 10/10 ..Taming the rear beast in game is challenging..Average story. 13 Main Missions.Side Mission are pretty good. Playing the game in survival mode is challenging.. Fan of far cry series you can definitely try this one..
Amazing game with a vast world.. gets you hooked for hours. It has many missions and submissions. 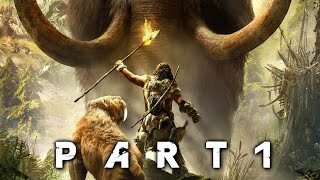 You play the role of Takkar from the wenja clan who has to take back the land of oros from man eaters called Udham and other clans like izila.. learn new tricks and master new weapons… Best part about the game is you can tame wild animals like sabertooth and mammoths you can ride them and order them to attack your enemies..
Hunt or be hunted.This game shines at its best in exploration. This prehistoric Marvel by ubisoft will keep you in your seat for hours. Got the product delivery six days before expected date .Iam sooooo impressed by these stunning delivery speed.Amaaazing game. There is so much to do in these awssome game. If you liked the previous parts of far cry ,then you would definately like it .